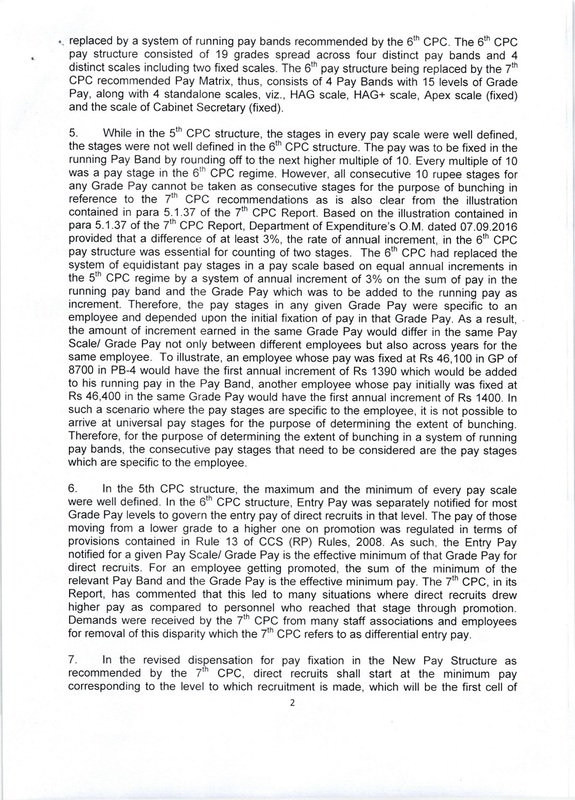 Home 7thCPC Bunching of Stages DoE Orders MoF ORDERS Pay Fixation 7th CPC Pay Fixation: Bunching of stages in revised pay structure - Fin Min issues OM with clarification in details for implementation. 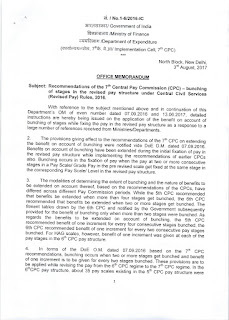 7th CPC Pay Fixation: Bunching of stages in revised pay structure - Fin Min issues OM with clarification in details for implementation. 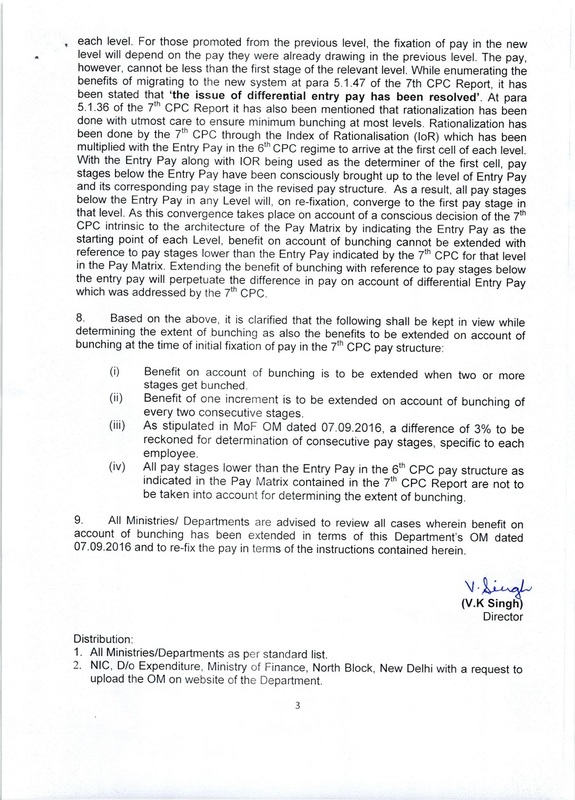 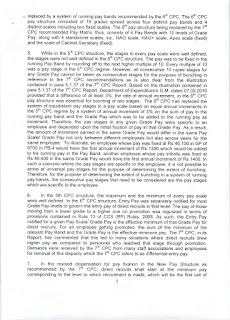 7th CPC Pay Fixation: Bunching of stages in revised pay structure - Fin Min issues OM with clarification in details for implementation ** सं./No.1-6/2016-IC, भारत सरकार/Government of India, वित्त मंत्रालय/Ministry of Finance, व्यय विभाग/Department of Expenditure, (कार्यान्वयन सेल, 7 के.वे.आ./Implementation Cell, 7th CPC), North Block, New Delhi, 3rd August, 2017 ** OFFICE MEMORANDUM ** Subject: Recommendations of the 7th Central Pay Commission (CPC) - bunching of stages in the revised pay structure under Central Civil Services (Revised Pay) Rules, 2016. 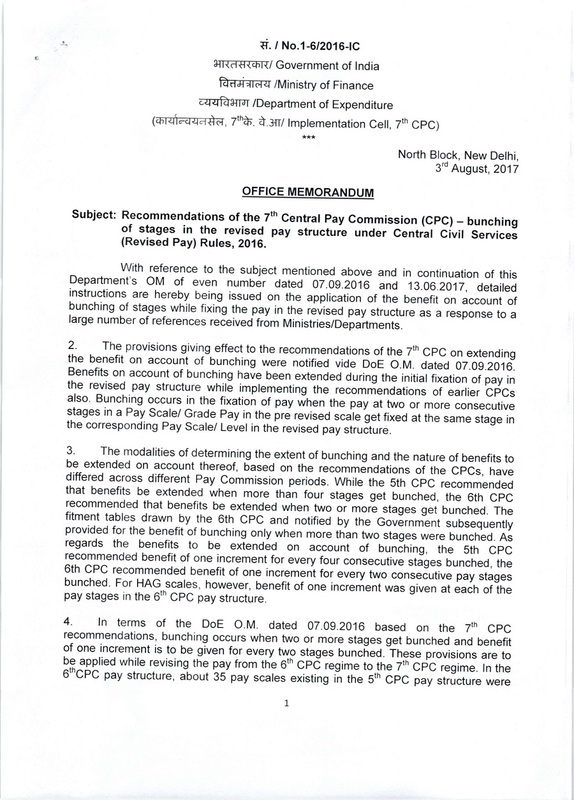 Subject: Recommendations of the 7th Central Pay Commission (CPC) - bunching of stages in the revised pay structure under Central Civil Services (Revised Pay) Rules, 2016. 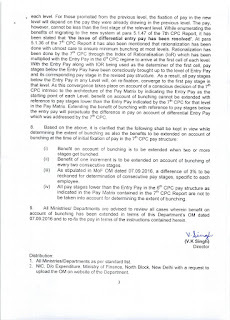 With reference to the subject mentioned above and in continuation of this Department's OM of even number dated 07.09.2016 and 13.06.2017, detailed instructions are hereby being issued on the application of the benefit on account of bunching of stages while fixing the pay in the revised pay structure as a response to a large number of references received from Ministries/Departments.